Every now and then we should think about the quality of our lives. Sound profound? Well hardly, if you find yourself making a trip to the hospital. No bad news though. But still, looking at scores of people thronging through the doors-sick, ailing, sometimes happy but mostly tired and sad. It makes one wonder…. We find that little glimmers of Light, like in the images below, make it worthwhile to go to a hospital. Where else would you see such subtle beauty? 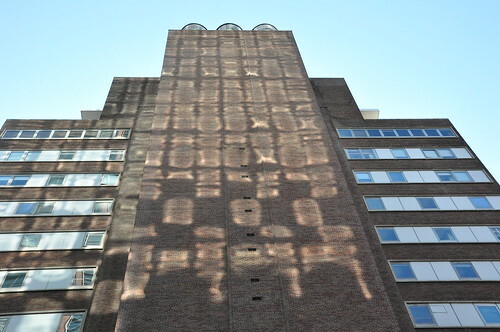 This one is sunlight reflecting off one of the Sloan Kettering Buildings onto the chimney tower of the Kettering Labs on 68th street. Makes you wonder, doesn’t it? Candles, Welcome to our new project.